District of Columbia (Washington, D.C.), license verification - Mark J. Hathaway, MD (search by name) State of Maryland, license verification - Mark Joseph Hathaway, MD (search by name) State of Virginia, license verification - Mark Joseph Hathaway, MD (search by name) Former abortionist at: Planned Parenthood of Metropolitan DC - (Silver Spring, MD) LinkedIn.com - Mark Hathaway profile -- Family Planning Director for Unity Healthcare. Also see professional history for abortion involvement. Unity Healthcare: DC Title X Family Planning -- Federal grant program for "comprehensive family planning." Sub-recipient agencies include Planned Parenthood of Metropolitan Washington DC. Video: "Speaking With Your Patients About Contraception," Mark Hathaway, MD, MPH - Medical Director, Family Planning - Unity Healthcare Dr. Mark Hathaway Testimony - U.S. House of Representatives subcommittee, 11-2-2011 RealityCheck bio - Dr. Mark Hathaway LARC Uptake slideshow - Mark Hathaway, MD, MDH - Title X Medical Director, Unity Healthcare. See pages 1 & 44. 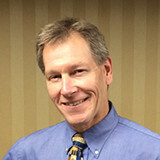 Upstream.org -- Mark Hathaway, MD - Expert Advisor and Director of Family Planning Programs for Unity Healthcare "On the 50th Anniversary of the Birth Control Pill, Looking Ahead to What's Next" - essay by Mark Hathaway, MD - See bio at end of article. Yahoo search -- Mark J. Hathaway, MD - Listing at Falls Church Center abortion clinic Yellowpages.com - Mark J. Hathaway, MD - Listing at Falls Church Center abortion clinic Superpages.com - Mark J. Hathaway, MD - Listing at Falls Church Center abortion clinic HealthGrades.com - Mark J. Hathaway, MD - Listing at Falls Church Center Planned Parenthood abortion clinic Doximity.com - Mark Hathaway, MD - Education and credentials USNews.com - Mark Hathaway, MD - Background and education NPI #1720068133 - Mark J. Hathaway, MD BlueCross/BlueShield -- Mark J. Hathaway, MD - Listing at 16th Street Planned Parenthood abortion clinic Vitals.com -- Mark J. Hathaway, MD - Listing at 16th Street Planned Parenthood abortion clinic Aetna.com - Mark J. Hathaway, MD - Listing at 16th Street Planned Parenthood abortion clinic eHealthInsurance.com - Mark J. Hathaway, MD - Listing at 16th Street Planned Parenthood abortion clinic (1108 16th St NW, Washington, DC) Amino.com - Mark Hathaway, MD - Listing at 16th Street Planned Parenthood abortion clinic Association of Reproductive Health Professionals - 2012 Annual Meeting, faculty list -- Mark Hathaway, MD - MedStar Washington Hospital Center Mark Hathaway, MD, formerly worked at MedStar Washington Hospital Center, where he was the Director of the Ryan Residency abortion training program and the Co-Director of the Family Planning Fellowship. He is now the Director of Family Planning for Unity Healthcare. He coordinates federal Title X funding for "comprehensive" family planning organizations, including Planned Parenthood of Metro Washington DC. State of Maryland medical license profile. Note practice address at Carafem abortion clinic in Chevy Chase, MD. Unity Healthcare slideshow. See Mark Hathaway info on pages 1 and 44. Mark Hathaway, MD, gives testimony to a subcommittee of the U.S. House of Representatives. BlueCross/BlueShield profile for Mark J. Hathaway, showing multiple abortion clinic listings. Note PP abortion clinics in Silver Spring and Gaithersburg, Maryland, and PP clinic on 4th Ave in Washington, DC. Also note he works at Washington Hospital Center Medstar, which sponsors an abortion-training "Family Planning Fellowship."